The Ride around the Bear is a great mountain-rural century with lots of climbing. The course starts in Redlands and after a warm up enters San Bernardino National Forest. 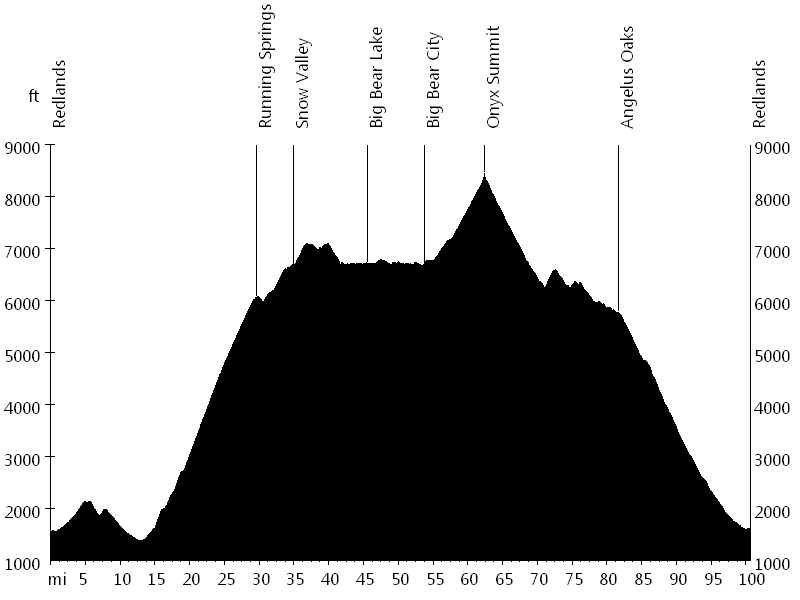 The major climb of the day leads from Highland up to Running Springs, Snow Valley, and Big Bear Lake. 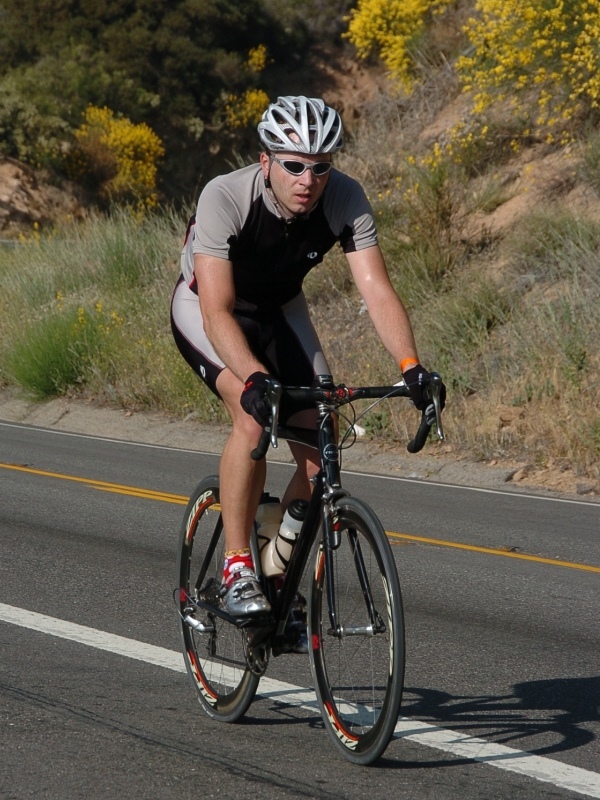 The ride then follows the shoreline before climbing Onyx Summit, at 8,443 feet the highest point. Finally the route descends via Angelus Oaks back into Redlands. This is an awesome ride with wonderful support by the Orange County Wheelmen. It was good seeing Barbara B.